Eugene Laverty will test Suzuki's new MotoGP machine this summer. The Toomebridge rider will be involved in tests in Japan and Australia in May and June, having already travelled to a pre-season MotoGP test at Sepang. 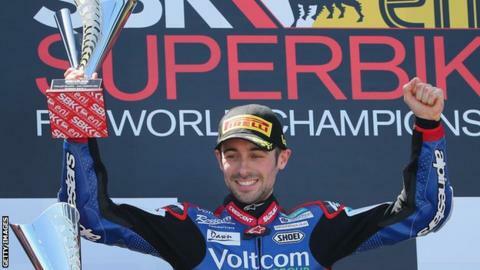 The Suzuki team is preparing to return to the premier class of world motorcycling in 2015 and Laverty is hoping to secure one of the rides. He is competing for the Crescent World Superbike team this season and won at the first round at Phillip Island. He was runner-up in the series last year and currently lies sixth in the current championship following fifth and sixth place finishes at Aragon on Sunday.